Now a week after Hurricane Michael made landfall, many communities in Florida’s panhandle are reeling from the damage. FEMA officials continue to conduct search and rescue missions throughout the Florida Panhandle. The storm’s one hundred and fifty mile per hour winds devastated parts of the Southeast. 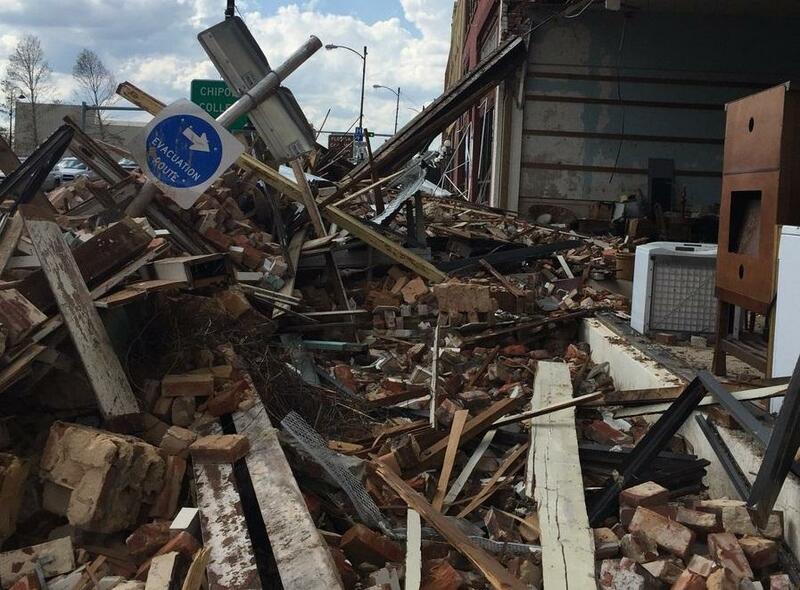 A damaged building in downtown Marianna, Florida. Jerry Seaton and her family chose to ride out the storm at home in Marianna, 56 miles from Panama City, Florida. She recalls standing in her kitchen, watching as the wind hurled trees into their home. After the storm, she says debris trapped the family on their property. “It took us five days to dig ourselves out, just to get a vehicle through the trees that was there. Nobody knew we were down there”, she said. Seaton and her family weren’t under an order to evacuate. For Seaton, this storm was a wake up call. Next time a Hurricane comes this way, she says her bag is packed and she’s gone. Cities such as Kissimee, Florida and Lafayette, Louisiana will be sending electrical crews to help with power outages caused by Hurricane Michael. Mayor Andrew Gillum and Utility Director Rob McGarrah say there will be consistent help to get power back as soon as the storm passes. Election supervisors in the panhandle are scrambling to get back up and running ahead of election Day. In some places, that means having only a handful of so-called “super-voting” sites available. U.S. Senator Bill Nelson is calling out the Florida Legislature for passing a 2017 bill he says allows builders to strip international building standards from Florida codes. Leon County Schools is seeing an influx of students from counties affected by Hurricane Michael as their home districts are closed. The students are being welcomed with open arms, but their arrival presents challenges.